Being the leaders in the industry, we present Material Handling Systems to our esteemed clients. 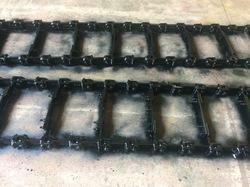 They are widely used in various industries and are used to carry the loads. It is manufactured keeping in mind the requirement of the industry. Additionally, it is offered at the best rates in the market. The product available with us is Automated Handling System. 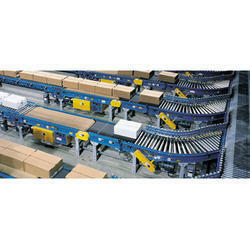 We are offering Automated Material Handling System to our Clients. Note: Prices may vary according to the product size, quality, and client requirements. Size/Capacity As per customer requirement or application. We are a leading manufacturer, supplier and Service Provider of all types of Forged Chain Links Assembly such as 3000, 3001, 3002, 3003 & 3122 etc. with MOC 20MnCr5, Hardness 55 to 60 HRC, Case Depth 0.5 to 0.6 mm, Braking Load for chain links will be depends on conveyor capacity and type of chain links. Dimension/Size As per customer requirements. Shape As per customer requirements. Weight Depends on sprocket size. Design As per Stenfab Std. Stock Bore Diameter As per customer requirement. Number Of Teeth From 6 upto customers application. Finishing As per customer requirements. Pitch As per Std. Chain link pitch. Features Boltable / Single Piece As per customer specifications etc. 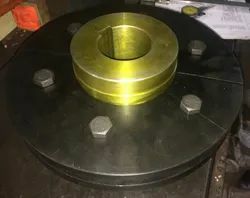 We are a leading manufacturer, supplier and service provider of all types of of Forged Chain sprocket (It may be Boltable / Single Piece) and Chain sprocket with shaft such Assembly. No. of teeths of Speckets start from 6 Teeth upto customer requirement. MOC of Sprocket EN-353/C-45, Hardness 55 to 60 HRC, Case Depth 1.0 - 1.2 mm. 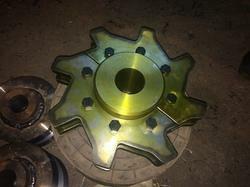 Also, Sprockets can be supply tailor made to suit customer applications. For more information, please refer our attached catalog. Roller Type As per customer requirements. Size As per customer requirements. We are a leading manufacturer, supplier and service provider of all types of of Forged Trailing Wheels (It may be Boltable / Single Piece) and Trailing Wheels with shaft Assembly. Dia of Trailing Wheel will be as per customer requirement. MOC of Trailing Wheel EN-353/C-45, Hardness 55 to 60 HRC, Case Depth 1.0 - 1.2 mm. Also, Trailing Wheels can be supply tailor made to suit customer applications. Looking for Material Handling System ?